This dataset represents properties acquired by the City of Austin through the Office of Real Estate Services. This is a working dataset for employees of the Office of Real Estate Services, and is not represented to be complete or accurate. This data is not survey grade and should not be used for any legal purposes.  This dataset represents properties leased by the City of Austin through the Office of Real Estate Services. This is a working dataset for employees of the Office of Real Estate Services, and is not represented to be complete or accurate. This data is not survey grade and should not be used for any legal purposes.